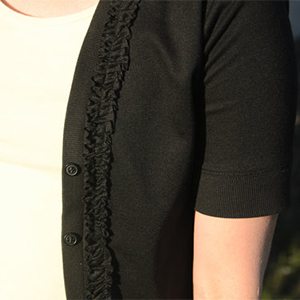 This is a pattern for a women's knit cardigan with 3/4 length sleeves. 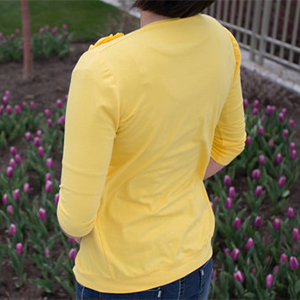 It can be made in a medium weight fabric for a more traditional cardigan or a lightweight jersey for a comfortable and casual feel. 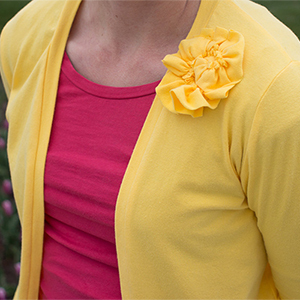 Instructions are included for the flower and ruffle embellishments. Pattern includes detailed instructions with color photos.